I love Cebu because more than anything else, it offers distinct warmth of the people that sets it apart from other tourist destinations. Widely perceived for their hospitality, friendliness, industriousness, resilience and deep sense of patriotism, Cebuanos are undoubtedly gracious and friendly hosts. 2013 SINULOG FESTIVAL GRAND PARADE. Photo by provincial government of Cebu. The present united leadership of Governor Hilario “Junjun” Davide III and Vice Governor Agnes Magpale makes sure Cebu remains a kaleidoscope of varying cultures and lifestyles, a meeting of east and west and a fusion of things traditional and modern. “This is influenced by the various phases of Cebu: being the spot where Philippine history began, becoming the cradle of Christianity, experiencing American and Japanese occupation, and later on transforming itself into a regional hub of everything – from arts and craftsmanship, to business and information technology. All these, plus the convergence of personalities and groups from varying backgrounds give the island a culture and lifestyle that is uniquely Cebu,” says the province’s web portal. The ninth largest island in the Philippines, it is located right in the heart of the Visayas region nearly 600 kilometer south of Manila. 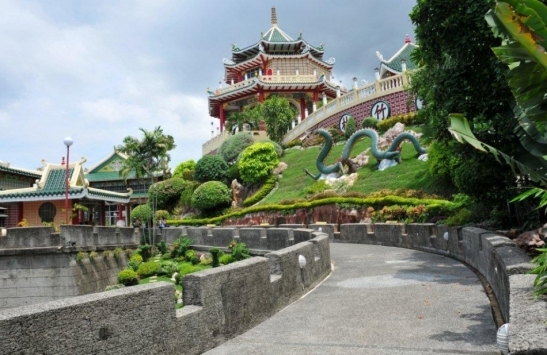 It is the site of Cebu City, the country’s second largest city which serves as a significant transport hub. It is also the oldest city and fastest growing metropolitan area. 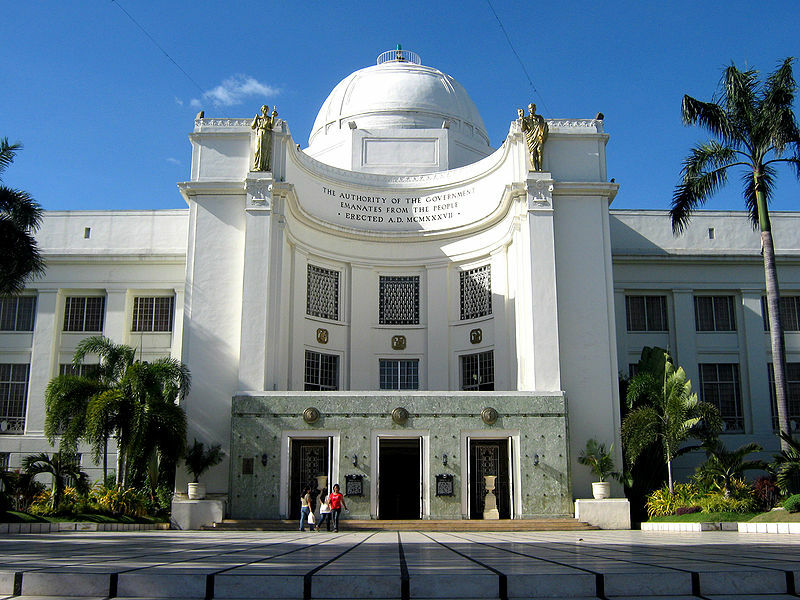 Cebu is composed of 44 towns and seven cities, various urban centers and countryside, islands and mountain ranges, age-old crafts, and new technology. These diverse factors give the many faces of Cebu but still, all lead to one culture of excellence and piety, and a lifestyle of stylish fun all rolled into one. Yet, I completely agree that traditions remain unchanged over the years, while every taste of things that are modern is embraced. I am lucky to have experience life in Cebu, the “Queen of Southern Philippines.” A CAPTIVATING PARADISE Cebu is endowed with the wealth of wonders, natural attractions that engage visitors in various activities. Cebu province offers a wide range of recreational activities – from diving spots to golf courses, from heritage walks to eco-tourism adventures. For the Department of Tourism (DOT), it boasts of pristine white sand beaches perfect for weekend and holiday getaways, pristine waters and rich marine life fit for diving and snorkeling, as well as verdant mountains, mysterious caves and challenging trails for mountain trekking, spelunking and other outdoor sports activities. Within the territorial jurisdiction of Cebu, clear blue waters and mesmerizing beaches surround the view of the five famous islands of Malapascua, Camotes, Bantayan, Badian and Mactan. Famous resorts include Alegre Beach Resort in Sogod, renowned for its white powdery beach and efforts in marine wildlife preservation. A must nature experience includes a tour of Danao, Sumilon, Moalboal, Carcar and Olango. Danao is known as the industrial hub of Cebu and a major seaport where one finds colorful fishing boats line up along the city’s shores in daytime. Sumilon is the country’s first marine reserve. Down south of the province is Moalboal, an island which offers white sandy beaches and ideal for scuba diving. It has the biggest Orchid Display in South East Asia where you may take in the majesty of vast orchid varieties from Asia, South America, and Hawaii which are cultured in the Orchid farm. Carcar is a town where one finds traces of Spanish influence. Sanctuaries also abound in the province. Six miles off the east coast of mainland Cebu, the Olango Wildlife Sanctuary supports the largest concentration of migrating birds in the country and plays host to a total of 77 species of migratory birds in the East Asian Flyway. Another breath taking tourist destination is the first-class Badian Island Resort and Spa at the sunset coast of Cebu. It boasts of crystal blue waters, fine white sand beaches and the splendor of nature in the little island basking at Badian Gulf. The Jumalon Butterfly Sanctuary and Art Gallery is a perfect get away for nature and butterfly lovers as it is home to about 53 butterfly species and different kinds of moths. The Cebu Provincial Tourism and Heritage Council believes the province provides a glimpse of the country’s glorious past with a number of preserved historic relics standing until today. Majority of the population in Cebu are Roman Catholics. Spanish-era churches are dotting the coasts of the province. he original statue of Señor Sto Niño de Cebu is housed in the Basilica Minore del Sto Niño, near the famous cross erected by the Spaniards. LAPULAPU MONUMENT. photo courtesy of provincial government of Cebu. ISLAND OF REVELRY The Cebu City Tourism Commission and the Cebu Tourism Officers Association are working hand in hand with the Provincial Tourism Office and DOT Central Visayas to promote Cebu as it plays host to many crowd-drawing festivals. 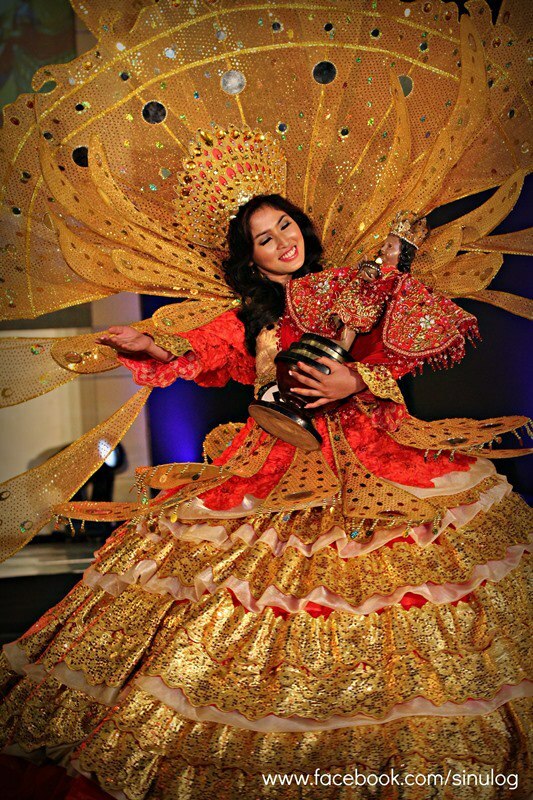 During the annual founding anniversary of the province every August, the provincial government organizes the Festival of Festivals, a grand event which bring together the more than 40 festivals in Cebu into one colorful display of traditions. A tourist may partake in the gaiety amidst a mardigras parade immersed in wild colors and the constant beating of drums during Siloy Festival of Alcoy, Mantawi Festival of Mandaue City, Kadaugan sa Mactan of Mactan Island, Palawod Festival of Bantayan Island, Haladaya Festival of Daanbantayan. 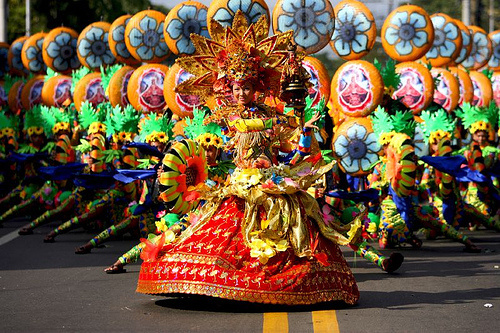 The Siloy Festival, celebrated every last Saturday of August, pays tribute to Patron Saint Rose of Lima. It promotes the Mag-abo Forest that shelters the renowned but endangered black shama or siloy. The Mantawi of Mandaue City illustrates the city’s heritage and identity as industrial center through floats, food festival, and trade fairs. 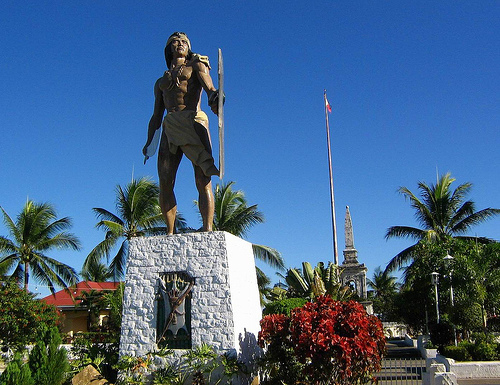 The Kadaugan sa Mactan commemorates the historic battle between the Spanish leader Ferdinand Magellan and Mactan Chieftain Lapu-lapu. Every last week of June, the Palawod Festival is celebrated in famous Bantayan Island where locals and guests alike participate in street dancing, which captures the traditional fishing, a livelihood inherent there. Equally famous among a myriad of festivities in the province are the Pasko sa Sugbu, Sanayon, Paskuhan, Pasko sa Kasakit, Via Crusis and Nuestra Senora de Regla Fiesta. DISTINCTIVE STYLE Cebu City is highly regarded as a shopping haven because of the presence of notable malls – SM City, Ayala Center, Robinson and Gaisano where you can find a wide array of products the island offers from native to imported signature items. If you are a bargain hunter, you can splurge in Carbon Market for food, souvenir and other items at extremely inexpensive prices. Take a stroll of Maribago where you can watch the craftsman at work in this center of guitar-making industry. The quality of their hand-crafted, shell-inlaid guitars, ukuleles, banjos and mandolins are comparable to the best in the world. Entertainments centers thrive with vibrant discotheques and bars, specialty shops, savory restaurants and dining areas, internet cafes and distinct shopping malls in the metropolitan. GETTING THERE. Cebu continues to excel. Investors and tourists alike are drawn to the province because of the culture of professionalism and craftsmanship among its people, the vast highly skilled manpower resources resilient amid trying times, its fair weather, relative peace and business-friendly atmosphere. Now, it’s your chance to go for the bustling atmosphere of Cebu. From Manila, a tourist may take a worry-free flight via PAL to Mactan-Cebu International Airport, the country’s busiest airport after Ninoy Aquino International Airport in Metro Manila, offering international flights to key Asian cities.